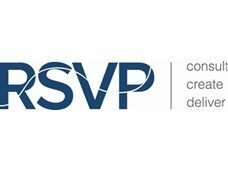 RSVP is a call centre based in East London (near Canary Wharf) and we provide flexible telesales jobs for actors. We only do warm calling, contacting existing and previous customers of our clients regarding re-subscribing/re-ordering, etc. or contacting those who have expressed interest in a call already. The flexibility allows you to go to any and all performance-related engagements at the drop of a hat. You don’t have to make up the hours, there is no maximum amount of time you can have off; all that we require is that you obtain an email from whoever has employed/asked to see you and that you then forward us that email. We would be happy to meet you and, if we arranged a position for you at RSVP, you are welcome to work around any upcoming commitments. The only thing we ask all our agents is that, when you don’t have any performance-related commitments, you’re working at least 32 hours (four shifts) a week with us. If this sounds like something that would work for you, please send us your CV and we will give you a call to arrange an interview. Pay is a consists of both a basic hourly rate and sales-based commission combined. This can vary depending on the client account any individual is assigned to, so please enquire for further details.